Every person’s house is their castle and no-one likes to feel like their castle is an eyesore. First impressions are hard to diminish, but here are some handy tips to maintain an excellent front garden which would be the envy of any neighbour. Set pavers down from the front gate or car drive to avoid a muddy walkway, but instead of raking over gravel, improve the soil around the pavers with compost (such as John Innes No 3). 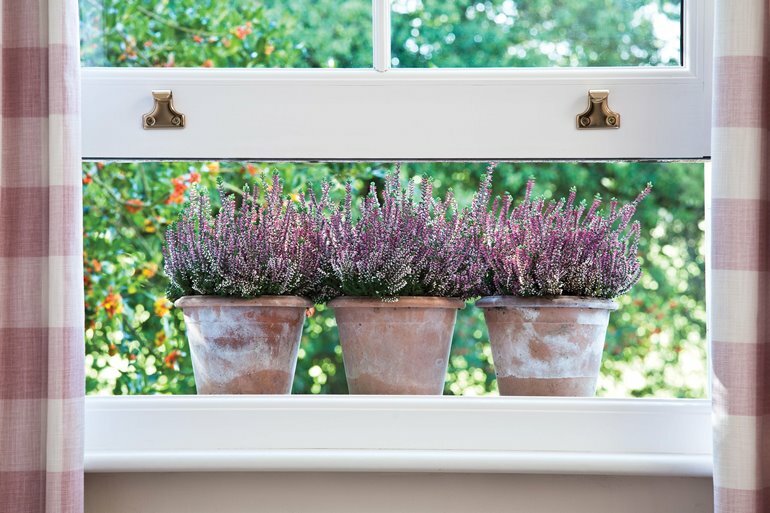 Plant aromatic herbs such as camomile or thyme, which can bear the brunt of being walked on and release a calming scent; perfect after a hectic day in the office. Learn how to grow your own herbs with our Herb Growing Cheat Sheet. In modern cities and towns, more and more residents are forced to place their rubbish bins directly in public view. Hide those unsightly bins by buying or creating a wheelie bin storage unit. If you have a colour theme for your front garden, then paint the storage unit with the colour of your choice. They can also come with a log store or shelving. If you are on a tight budget then use wheelie bin decorative sticker skins to camouflage those unappealing bins. Read how a front porch can enhance the look of your home and welcome guests. Any front garden big or small will instantly pop with a few pot plants. Depending on your tastes, select plants that appeal to you. A pair of standard roses by the front door or the entrance of a drive provides a stunning attraction to the front garden. Climbing plants such as jasmine can add some panache to the front of your home and there is nothing like the heady scent wafting through your open windows on a warm summer evening – plus with a little TLC they thrive in containers! A simple window box of bedding plants such as pansies will bring a smile to any passer-by. 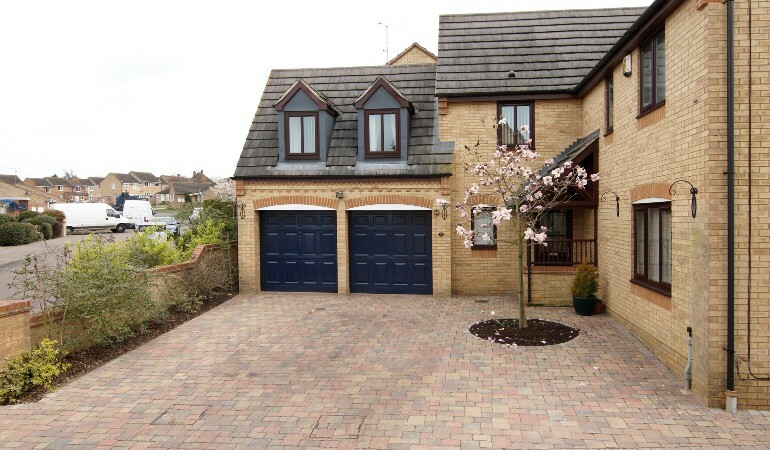 One of life’s small pleasures is the sound of crunching over gravel but with more cars on the road than ever, our front gardens have had to be sacrificed to make way for the national average of 2 or more cars per home. Lawns and plants have been ripped out to make way for paving and gravel causing run off to seep into our waterways and escalate to flooding. 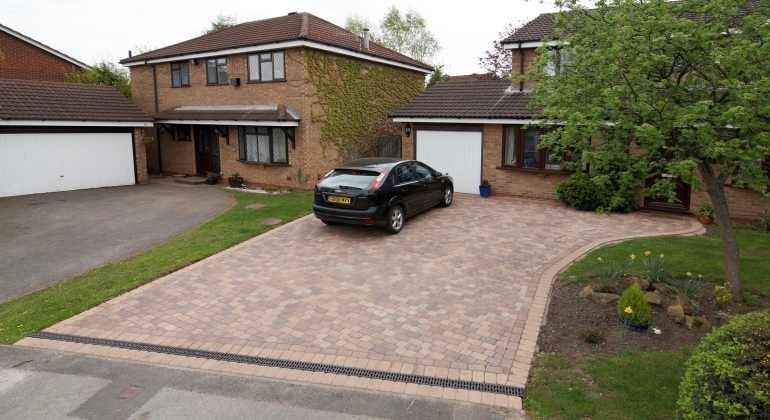 Install a permeable paving system to deal with the run off in a sustainable way. They can also be paved with grass seed to strengthen load bearing. No one likes a noisy neighbour and nature will aid you in keeping prying eyes at bay. Plant tall, leafy bamboo in containers (they can be invasive) to screen out noise, pollution and onlookers while blowing gently in the breeze or an evergreen clematis (clematis armandii) up a trellis to provide scent and confidentiality. If the sound of traffic is bothersome, then the sound of a water feature will assist in mellowing the noise. At the end of the day no one likes to arrive to a grimy front door. Conjure up some elbow grease and a few sponges, brushes, a bucket of warm soapy water and scrub down the windows, front door and door-frame. A lick of paint will also lift the front of your house. Ask for advice at your local DIY store to ensure the paint is suitable for metal, wood or masonry. There is nothing more pleasing than coming home to an attractive front garden. It is your own personal front to your neighbours and the rest of the community. Maintaining it will give you the break to meet and greet your neighbours, improving community spirit. A flourishing front garden will regulate urban temperatures and aid in supporting our local wildlife. It will drastically enhance the aesthetics of a house and street, carrying premium prices on the housing market and enrich the community.